The Catalan independence movement (Catalan: independentisme català;[a] Spanish: independentismo catalán) is a social and political movement with roots in Catalan nationalism, which seeks the independence of Catalonia from Spain. The Government of Catalonia announced a referendum on the question of statehood, to be held in November 2014. The referendum asked two questions: "Do you want Catalonia to become a state?" and if so, "Do you want this state to be independent?" The Government of Spain referred the proposed referendum to the Constitutional Court, which ruled it unconstitutional. The Government of Catalonia then changed it from a binding referendum to a non-binding "consultation". Despite the Spanish court also banning the non-binding vote, the Catalan self-determination referendum went ahead on 9 November 2014. The result was an 81% vote for "yes-yes", with a turnout of 42%. Mas called another election for September 2015, which he said would be a plebiscite on independence. Although winning the majority of the seats, Pro-independence parties fell just short of a majority of votes (they got 47%) in the September election. The new parliament passed a resolution declaring the start of the independence process in November 2015. The following year, new president Carles Puigdemont, announced a binding referendum on independence. Although deemed illegal by the Spanish government and Constitutional Court, the referendum was held on 1 October 2017. In a vote where the anti-independence parties called for non-participation, results showed a 90% vote in favour of independence, with a turnout of 43%. Based on this result, on 27 October 2017 the Parliament of Catalonia approved a resolution creating an independent Republic unilaterally, by a vote considered illegal by the lawyers of the Parliament of Catalonia for violating the decisions of the Constitutional Court of Spain. In the Parliament of Catalonia, parties explicitly supporting independence are Partit Demòcrata Europeu Català (PDeCAT), formerly named Convergència Democràtica de Catalunya (CDC); Esquerra Republicana de Catalunya (ERC), and Candidatura d'Unitat Popular (CUP). Parties opposed to the regional independence are Ciutadans (Citizens), the PP Català (People's Party), the Partit dels Socialistes de Catalunya (PSC), and Podemos, the third largest party in the Spanish parliament. The latter supports a legal and agreed referendum. The Principality of Catalonia was an entity of the Crown of Aragon, created by the dynastic union of the County of Barcelona and the Kingdom of Aragon in 1137. In the late 15th century, Aragon united by marriage with the Crown of Castile to form what would later become Kingdom of Spain. Initially, the various entities of the Crown of Aragon, including Catalonia, kept their own fueros (furs in Catalan, laws and customs) and political institutions as guarantee of their sovereignty, for which they fought a civil war during the actual union of the crowns, known as the Catalan Civil War (1462-1472) between foralists and royalists. In 1640, during the Thirty Years War and Franco-Spanish War, Catalan peasants revolted, starting the Reapers' War. The following year, the Catalan government seceded stablishing the independence of the Principality, called France for protection and finally named Louis XIII count of Barcelona. After a decade of war, the Spanish Monarchy counter-attacked in 1652 and recovered Barcelona and the rest of Catalonia, except for Roussillon, which was annexed by France. Catalonia retained its fueros. During the War of Spanish Succession, most of the territories of the Crown of Aragon, including Catalonia, fiercely supported Archduke Charles, the Habsburg contender,, who swore the Catalan constitutions, against the Bourbon contender, who would later abolish the Catalan constitutions and political institutions through the Nueva Planta Decrees. The Habsburgs' English allies withdrew from the war with the Treaty of Utrecht in 1713, and shortly thereafter, Habsburg troops were evacuated from Italy and from Spain. This left the Catalan government isolated, but it remained loyal to Charles. After a 14-month siege, Barcelona surrendered to a Bourbon army on 11 September 1714. 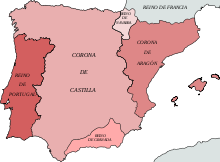 The end of the war was followed by the loss of the fueros of all Crown of Aragon territories, including Catalonia, and the imposition of the Nueva Planta decrees, which centralised Spanish government. 11 September, the date of the fall of Barcelona, was commemorated by Catalan nationalists from 1886, and in the 20th century it was chosen as the National Day of Catalonia. The beginnings of separatism in Catalonia can be traced back to the mid–19th century. The Renaixença (cultural renaissance), which aimed at the revival of the Catalan language and Catalan traditions, led to the development of Catalan nationalism and a desire for independence. Between the 1850s and the 1910s, some individuals, organisations and political parties started demanding full independence of Catalonia from Spain. The first pro-independence political party in Catalonia was Estat Català (Catalan State), founded in 1922 by Francesc Macià. Estat Català went into exile in France during the dictatorship of Primo de Rivera (1923–1930), launching an unsuccessful uprising from Prats de Molló in 1926. In March 1931, following the overthrow of Primo de Rivera, Estat Català joined with the Partit Republicà Català (Catalan Republican Party) and the political group L'Opinió (Opinion) to form Esquerra Republicana de Catalunya (Republican Left of Catalonia; ERC), with Macià as its first leader. The following month, the ERC achieved a spectacular victory in the municipal elections that preceded the 14 April proclamation of the Second Spanish Republic. Macià proclaimed a Catalan Republic on 14 April, but after negotiations with the provisional government he was obliged to settle for autonomy, under a revived Generalitat of Catalonia. Catalonia was granted a statute of autonomy in 1932, which lasted until the Spanish Civil War. In 1938, General Franco abolished both the Statute of Autonomy and the Generalitat. A section of Estat Català which had broken away from the ERC in 1936 joined with other groups to found the Front Nacional de Catalunya (National Front of Catalonia; FNC) in Paris in 1940. The FNC declared its aim to be "an energetic protest against Franco and an affirmation of Catalan nationalism". Its impact, however, was on Catalan exiles in France rather than in Catalonia itself. The FNC in turn gave rise to the Partit Socialista d'Alliberament Nacional (Socialist Party of National Liberation; PSAN), which combined a pro-independence agenda with a left-wing stance. A split in the PSAN led to the formation of the Partit Socialista d'Alliberament Nacional - Provisional (Socialist Party of National Liberation - Provisional; PSAN-P) in 1974. Following Franco's death in 1975, Spain moved to restore democracy. A new constitution was adopted in 1978, which asserted the "indivisible unity of the Spanish Nation", but acknowledged "the right to autonomy of the nationalities and regions which form it". Independence parties objected to it on the basis that it was incompatible with Catalan self-determination, and formed the Comité Català Contra la Constitució Espanyola (Catalan Committee Against the Constitution) to oppose it. The constitution was approved in a referendum by 88% of voters in Spain overall, and just over 90% in Catalonia. It was followed by the Statute of Autonomy of Catalonia of 1979, which was approved in a referendum, with 88% of voters supporting it. This led to the marginalisation or disappearance of pro-independence political groups, and for a time the gap was filled by militant groups such as Terra Lliure. In 1981, a manifesto issued by intellectuals in Catalonia claiming discrimination against the Castilian language, drew a response in the form of published letter, Crida a la Solidaritat en Defensa de la Llengua, la Cultura i la Nació Catalanes ("Call for Solidarity in Defence of the Catalan Language, Culture and Nation"), which called for a mass meeting at the University of Barcelona, out of which a popular movement arose. The Crida organised a series of protests that culminated in a massive demonstration in the Camp Nou on 24 June 1981. Beginning as a cultural organisation, the Crida soon began to demand independence. In 1982, at a time of political uncertainty in Spain, the Ley Orgánica de Armonización del Proceso Autonómico (LOAPA) was introduced in the Spanish parliament, supposedly to "harmonise" the autonomy process, but in reality to curb the power of Catalonia and the Basque region. There was a surge of popular protest against it. The Crida and others organised a huge rally against LOAPA in Barcelona on 14 March 1982. In March 1983, it was held to be ultra vires by the Spanish Constitutional Court. During the 1980s, the Crida was involved in nonviolent direct action, among other things campaigning for labelling in Catalan only, and targeting big companies. In 1983, the Crida's leader, Àngel Colom, left to join the ERC, "giving an impulse to the independentist refounding" of that party. Following elections in 2003, the moderate nationalist Convergència i Unió (CiU), which had governed Catalonia since 1980, lost power to a coalition of left-wing parties composed of the Socialists' Party of Catalonia (PSC), the pro-independence Esquerra Republicana de Catalunya (ERC) and a far-left/Green coalition (ICV-EUiA), headed by Pasqual Maragall. The government produced a draft for a new Statute of Autonomy, which was supported by the CiU and was approved by the parliament by a large majority. The draft statute then had to be approved by the Spanish parliament, which could make changes; it did so, removing clauses on finance and the language, and an article stating that Catalonia was a nation. When the amended statute was put to a referendum on 18 June 2006, the ERC, in protest, called for a "no" vote. The statute was approved, but turnout was only 48.9%. At the subsequent election, the left-wing coalition was returned to power, this time under the leadership of José Montilla. The Partido Popular, which had opposed the statute in the Spanish parliament, challenged its constitutionality in the Spanish High Court of Justice. The case lasted four years. In its judgement, issued on 18 June 2010, the court ruled that fourteen articles in the statute were unconstitutional, and that 27 others were to be interpreted restrictively. The affected articles included those that gave preference to the Catalan language, freed Catalonia from responsibility for the finances of other autonomous communities, and recognised Catalonia as a nation. The full text of the judgement was released on 9 July 2010, and the following day a protest demonstration organised by the cultural organisation Òmnium Cultural was attended by over a million people, and led by José Montilla. During and after the court case, a series of symbolic referendums on independence were held in municipalities throughout Catalonia. The first of these was in the town of Arenys de Munt on 13 September 2009. About 40% of eligible voters participated, of whom 96% voted for independence. In all, 552 towns held independence referendums between 2009 and 2011. These, together with demonstrations organised by Òmnium Cultural and the Assemblea Nacional Catalana (ANC), represented a "bottom-up" process by which society influenced the political movement for independence. At an institutional level, several municipalities of Catalonia came together to create the Association of Municipalities for Independence, an organisation officially established on 14 December 2011 in Vic which brought local organisations together to further the national rights of Catalonia and promote its right to self-determination. The demonstration of 11 September 2012 explicitly called on the Catalan government to begin the process of secession. Immediately after it, Artur Mas, whose CiU had regained power in 2010, called a snap election for 25 November 2012, and the parliament resolved that a referendum on independence would be held in the life of the next legislature. Although the CiU lost seats to the ERC, Mas remained in power. Further pro-independence demonstrations took place in Barcelona in September 2015, and in Barcelona, Berga, Lleida, Salt and Tarragona in September 2016. Other smaller pro-independence parties or coalitions, without present representation in any parliament, are Catalan Solidarity for Independence, Estat Català, Endavant, PSAN, Poble Lliure and Reagrupament. There are also youth organisations such as Young Republican Left of Catalonia, Arran, and the student unions SEPC and FNEC. From around 2010, support for Catalan independence broadened from being the preserve of traditional left or far-left Catalan nationalism. Relevant examples are the liberal economists Xavier Sala-i-Martín and Ramon Tremosa Balcells (elected deputy for CiU in the European parliament in the 2009 election), the lawyer and former FC Barcelona president Joan Laporta or the jurist and former member of the Consejo General del Poder Judicial Alfons López Tena. The Cercle d'Estudis Sobiranistes, a think tank led by the jurists Alfons López Tena and Hèctor López Bofill, was founded in 2007. It affiliated with Solidaritat Catalana per la Independència (Catalan Solidarity for Independence) in 2011. Joan Massagué, Catalan scientist, director of the Sloan Kettering Institute. Pep Guardiola, Catalan football coach of Manchester City FC, former football player and former coach for FC Barcelona and FC Bayern Munich. Jordi Galí, Catalan economist, director of the Center for Research in International Economics at UPF. Manel Esteller, Catalan scientist, director of the Cancer Epigenetics and Biology Program of the Bellvitge Institute for Biomedical Research and editor-in-chief of the peer-reviewed journal Epigenetics. Eduard Punset, Catalan politician, lawyer, economist, and science popularizer. Pilar Rahola, Catalan journalist and writer. All of the Spanish national political parties in Catalonia reject the idea of independence. Together they represent a majority of votes yet a minority of seats in the Catalan parliament. Of these, only Podemos is prepared to hold a referendum on the issue in Catalonia; others such as Ciutadans, and the People's Party of Catalonia, which had 25.4% and 4.2% of the vote respectively in the 2017 Catalan regional election, have always opposed the notion of Catalan self-determination. The Socialists' Party (13.9% of vote) opposes independence as well. While some of its members supported the idea of a self-determination referendum up until 2012, the official position as of 2015 is that the Spanish Constitution should be reformed in order to better accommodate Catalonia. A majority of voters of left-wing platform Catalonia Yes We Can (8.94%) reject independence although the party favours a referendum in which it would campaign for Catalonia remaining part of Spain. CDC's Catalanist former-partner Unió came out against independence and fared badly in every subsequent election, eventually disbanding due to bankruptcy in 2017. On 8 October 2017, Societat Civil Catalana gathered over a million people according to the organizers and the Spanish government and 350,000 people according to Barcelona police, in a rally against Catalan independence. To date this event was the largest pro-Constitution and anti-independence demonstration in the history of Catalonia. On 12 October 2017, 65,000 people, according to the Barcelona local police, marched against independence in a smaller demonstration marking the Spanish national day. The turnout was thirteen times more than the prior year and the highest on record in Barcelona's history for this event. On 29 October 2017, hundreds of thousands of people demonstrated on the streets of Barcelona in favor of the unity of Spain and celebrating the Spanish government forcing new regional elections in December, in a demonstration called by Societat Civil Catalana. According to the Delegation of the Spanish government in Catalonia the turnout was of 1,000,000 people whereas according to the Barcelona police it was of 300,000 people. Societat Civil Catalana itself estimated the turnout at 1,000,000 people. In 2017 the concept of 'Tabarnia' became viral on social media and received widespread media attention. Tabarnia is a fictional region covering urban coastal Catalonia demanding independence from the wider region should it proceed with independence. Arguments in favor of Tabarnia satirically mirror those in favor of Catalan independence from Spain. Numerous separatists were critical of the concept and responded that the parody unfairly trivializes Catalonia's independence movement, which is based in part on Catalonia's distinct culture and identity. This proposal, from a platform created in 2011, was shown to map the electoral results of the Catalan regional election of 21 December 2017, which provoked renewed interest. The word 'Tabarnia' went viral on 26 December 2017, reaching worldwide top-trending status with over 648,000 mentions. The first major demonstration in favour of Tabarnia's autonomy from Catalonia took place in Barcelona on the 4th of February 2017, with 15,000 participants according to the Guàrdia Urbana and 200,000 according to organizers. Juan Marsé, Catalan novelist, journalist and screenwriter. One study found that support for independence is a function of grievances rooted in the desire for Catalonia to assume responsibility for taxation and spending policy. This suggests that Spain might be able to stave off Catalonia's separatist bid through some form of political and taxation policy reconfiguration. The Centre for Opinion Studies (Centre d'Estudis d'Opinió; CEO) fell under the purview of the Economy Ministry of the Generalitat of Catalonia until early 2011. Since then it has been placed under direct control of the Presidency of the Generalitat and is currently headed by Jordi Argelaguet i Argemí. Since the second quarter of 2011, CEO has conducted polls regarding public sentiments toward independence. a The question was not asked in this survey; instead the two part question was asked (see below). Catalan newspapers El Periódico and La Vanguardia also published surveys up to 2013. Under Spanish law, lawfully exiting Spain would require the Spanish parliament to amend the constitution. It may be difficult for an independent Catalonia to gain international recognition; for example, many countries fail to recognize Kosovo, despite Kosovo having a strong humanitarian claim to independence. Most of Catalonia's foreign exports go to the European Union; Catalonia would need Spain's permission if it wishes to eventually re-enter the EU following secession. Catalonia already runs its own police, schools, healthcare, transport, agriculture, environment policy, municipal governments; other institutions, such as a central bank and a revenue collection service, would have to be rebuilt, possibly losing existing economies of scale. Accounting measures vary, but the BBC and Washington Post cite estimates that in 2014 Catalonians may have paid about 10 billion Euros (or about 12 billion USD) more in taxes to the State than what it received in exchange. As of 2014, an independent Catalonia would be the 34th largest economy in the world. Should Catalonia secede from Spain, residents of Val d'Aran (population 10,000) have stated they might break away from Catalonia. Opponents of Catalan independence have accused the movement of racism or elitism, and argue that the majority of the Catalan public does not support independence. In an op-ed for the Guardian Aurora Nacarino-Brabo and Jorge San Miguel Lobeto, two political scientists affiliated with the anti-independence Ciutadans party, disputed the claim that Catalonia has been oppressed or excluded from Spanish politics. They argued that the independence movement is "neither inclusive nor progressive", and criticized nationalists for excluding the Spanish speaking population of Catalonia, and resorting to what they argue are appeals to ethnicity. These criticisms of ethnic-based appeals and exclusion of Spanish speakers have been echoed by other politicians and public figures opposed to independence, such former Spanish Prime Minister Felipe González,  and the leader of Ciutadans in Catalonia Inés Arrimadas. Members of the Catalan independence movement have strongly denied their movement is xenophobic or supremacist and define it as "an inclusive independence movement in which neither the origin nor the language are important". In addition, independence supporters usually allege most far-right and xenophobic groups in Catalonia support Spanish nationalism, and usually participate in unionist demonstrations. ^ Strange, Hannah (2015-09-27). "Catalan pro-independence parties win majority in regional election". ISSN 0307-1235. Retrieved 2017-12-23. ^ a b "Un Parlament semivacío consuma en voto secreto la rebelión contra el Estado". El Mundo (in Spanish). 27 October 2017. Retrieved 27 October 2017. ^ a b "PPC, PSC y Ciudadanos abandonarán el Parlament si se vota la resolución de Junts pel Sí y la CUP". La Vanguardia (in Spanish). 27 October 2017. Retrieved 28 October 2017. ^ "Understanding Catalan Flags - La Senyera and L'Estelada". Barcelonas. Retrieved 2018-11-20. ^ Herr, Richard (1974). An Historical Essay on Modern Spain. University of California Press. p. 41. ISBN 9780520025349. Retrieved 11 October 2016. ^ a b c Guibernau, Montserrat (2004). Catalan Nationalism: Francoism, Transition and Democracy. Routledge. p. 30. ISBN 978-1134353262. Archived from the original on 27 May 2016. Retrieved 11 October 2016. ^ "Catalonia, Revolt of (1640–1652)". Encyclopedia.com. Retrieved 14 October 2017. ^ Alcoberro, Agustí (October 2010). "The War of the Spanish Succession in the Catalan-speaking Lands". Catalan Historical Review. 3 (3). ^ a b Strubell, Miquel (2011). "The Catalan Language". In Keown, Dominic (ed.). A Companion to Catalan Culture. Tamesis Books. p. 126. ISBN 978-1855662278. Retrieved 6 October 2017. ^ Crameri, Kathryn (2008). Catalonia: National Identity and Cultural Policy, 1980-2003. University of Wales Press. p. 160. ISBN 978-0708320136. Retrieved 6 October 2017. ^ Balcells, Albert (1996). Catalan Nationalism: Past and Present. Springer. p. 15. ISBN 978-1349242788. Retrieved 6 October 2017. ^ "Spanish Affairs: The Republicans of Spain (letter)". The New York Times. 7 September 1854. Archived from the original on 14 December 2014. Retrieved 2015-05-31. ^ "Current Foreign Topics". The New York Times. 3 August 1886. Archived from the original on 14 December 2014. Retrieved 2015-05-31. ^ "Spanish Province Talks Secession: Catalonia, Aroused Against Madrid, Is Agitating for Complete Independence". The New York Times. 18 June 1917. Archived from the original on 14 December 2014. Retrieved 2015-05-31. ^ a b Romero Salvadó, Francisco J. (2013). Historical Dictionary of the Spanish Civil War. Rowman & Littlefield. p. 123. ISBN 978-0810857841. Retrieved 12 October 2016. ^ Harrington, Thomas (2005). "Rapping on the Cast(i)le Gates: Nationalism and Culture-planning in Contemporary Spain". In Moraña, Mabel (ed.). Ideologies of Hispanism. Vanderbilt University Press. p. 124. ISBN 978-0826514721. Retrieved 12 October 2016. ^ Lluch, Jaime (2014). Visions of Sovereignty: Nationalism and Accommodation in Multinational Democracies. University of Pennsylvania Press. p. 50. ISBN 978-0812209617. Retrieved 12 October 2016. ^ Conversi, Daniele (2000). The Basques, the Catalans and Spain: Alternative Routes to Nationalist Mobilisation. University of Nevada Press. pp. 38–9. ISBN 978-0874173628. Retrieved 12 October 2016. ^ Costa Carreras, Joan; Yates, Alan (2009). "The Catalan Language". In Costa Carreras, Joan (ed.). The Architect of Modern Catalan: Pompeu Fabra (1868-1948). John Benjamins Publishing. p. 20. ISBN 978-9027232649. Retrieved 12 October 2016. ^ a b Güell Ampuero, Casilda (2006). The Failure of Catalanist Opposition to Franco (1939-1950). Consejo Superior de Investigaciones Científicas. pp. 71–2. ISBN 978-8400084738. Retrieved 12 October 2016. ^ Dowling, Andrew (2013). Catalonia Since the Spanish Civil War: Reconstructing the Nation. Sussex Academic Press. p. 152. ISBN 978-1782840176. Retrieved 12 October 2016. ^ Conversi, Daniele (2000). The Basques, the Catalans and Spain: Alternative Routes to Nationalist Mobilisation. University of Nevada Press. pp. 143–4. ISBN 978-0874173628. Retrieved 16 September 2016. ^ Stepan, Alfred C. (2001). Arguing Comparative Politics. Oxford University Press. p. 204. ISBN 978-0198299974. Retrieved 17 September 2016. ^ a b Lluch, Jaime (2014). Visions of Sovereignty: Nationalism and Accommodation in Multinational Democracies. University of Pennsylvania Press. p. 57. ISBN 978-0812209617. Retrieved 17 September 2016. ^ a b Cuadras Morató, Xavier (2016). "Introduction". In Cuadras Morató, Xavier (ed.). Catalonia: A New Independent State in Europe? : A Debate on Secession Within the European Union. Routledge. p. 12. ISBN 978-1317580553. Retrieved 16 September 2016. ^ Crameri, Kathryn (2014). 'Goodbye, Spain? ': The Question of Independence for Catalonia. Sussex Academic Press. p. 39. ISBN 978-1782841630. Retrieved 16 September 2016. ^ a b c Guibernau, Montserrat (2012). "From Devolution to Secession: the Case of Catalonia". In Seymour, Michel; Gagnon, Alain-G. (eds.). Multinational Federalism: Problems and Prospects. Palgrave Macmillan. pp. 166–7. ISBN 978-0230337114. Retrieved 16 September 2016. ^ Webb, Jason (13 September 2009). "Catalan town votes for independence from Spain". Reuters. Archived from the original on 17 September 2016. Retrieved 16 September 2016. ^ a b Guinjoan, Marc; Rodon, Toni (2016). "Catalonia at the crossroads: Analysis of the increasing support for secession". In Cuadras Morató, Xavier (ed.). Catalonia: A New Independent State in Europe? : A Debate on Secession Within the European Union. Routledge. p. 40. ISBN 978-1317580553. Retrieved 16 September 2016. ^ "El Ple Municipal aprova la proposta de crear una associació per promoure el Dret a Decidir de Catalunya". Ajuntament de Vic (in Catalan). 12 September 2011. Archived from the original on 16 September 2013. ^ Moodrick-Even Khen, Hilly (2016). National Identities and the Right to Self-Determination of Peoples. BRILL. p. 49. ISBN 978-9004294332. Retrieved 16 September 2016. ^ "Eying Scotland, Spain Catalans seek secession vote". Daily Mail. Associated Press. 11 September 2014. Archived from the original on 11 October 2016. Retrieved 16 September 2016. ^ a b Field, Bonnie N. (2015). "The evolution of sub-state nationalist parties as state-wide parliamentary actors: CiU and the PNV in Spain". In Gillespie, Richard; Gray, Caroline (eds.). Contesting Spain? The Dynamics of Nationalist Movements in Catalonia and the Basque Country. Routledge. p. 117. ISBN 978-1317409489. Retrieved 16 September 2016. ^ Duerr, Glen M. E. (2015). Secessionism and the European Union: The Future of Flanders, Scotland, and Catalonia. Lexington Books. p. 108. ISBN 978-0739190852. Retrieved 16 September 2016. ^ Heller, Fernando (22 July 2015). "Catalan separatists send shudders through Madrid". EurActiv. Archived from the original on 5 October 2016. Retrieved 16 September 2016. ^ Buck, Tobias (27 September 2015). "Independence parties win in Catalonia but fall short of overall victory". Financial Times. Archived from the original on 20 December 2016. Retrieved 8 December 2016. ^ Buck, Tobias (9 November 2015). "How the Catalonia vote will ramp up tensions with Madrid". Financial Times. Archived from the original on 9 April 2017. Retrieved 16 September 2016. ^ a b Simms, Brendan; Guibernau, Montserrat (25 April 2016). "The Catalan cauldron: The prospect of the break-up of Spain poses yet another challenge to Europe". New Statesman. Archived from the original on 4 October 2016. Retrieved 10 October 2016. ^ Medina Ortega, Manuel (2017). "The Political Rights of EU Citizens and the Right of Secession". In Closa, Carlos (ed.). Secession from a Member State and Withdrawal from the European Union: Troubled Membership. Cambridge University Press. p. 142. ISBN 978-1107172197. Retrieved 28 October 2017. ^ "Sala-i-Martin's Independence". Columbia.edu. Archived from the original on 2010-06-26. Retrieved 2009-11-09. ^ "Joan Laporta i Estruch (2003-2010) | FCBarcelona.cat". Fcbarcelona.com. Archived from the original on 2008-05-28. Retrieved 2012-09-29. ^ "Alfons López Tena: 'Espanya era el país del meu pare, però no és el meu'". Vilaweb.tv. Archived from the original on 2011-10-09. Retrieved 2012-09-29. ^ "El Cercle d'Estudis Sobiranistes presenta el manifest fundacional per la independència". TV3. 10 September 2007. Retrieved 28 October 2017. ^ "El Cercle d'Estudis Sobiranistes esdevé la fundació de Solidaritat". Vilaweb. 25 November 2011. Retrieved 28 October 2017. ^ "Give Catalonia its freedom to vote - by Pep Guardiola, Josep Carreras and other leading Catalans". Independent. 10 October 2014. Archived from the original on 5 October 2016. Retrieved 15 September 2016. ^ "Lluis Llach: "El camino español está vallado"... menos para su fundación". Libertad Digital. 5 March 2011. Archived from the original on 3 January 2015. ^ "El "sí" y el "no" a la independencia de los famosos". La Vanguardia. 24 October 2017. ^ "El Tenor José Carreras ante una cámara: ' Visca Catalunya Lliure' | Intereconomía | 376462". Intereconomia.com. Archived from the original on 2012-04-07. Retrieved 2012-09-29. ^ "Carreras, emocionado con la independencia: "Yo no la veré... mis nietos, quizás sí"". En Blau. Retrieved 2019-01-29. ^ "Teresa Forcades: "En Catalunya ya no es ridículo decir independencia, se ve posible"". El Periódico. 10 November 2013. Archived from the original on 28 May 2015. ^ "Nació Digital: Miquel Calçada: "La dignitat de Catalunya només té un nom: independència"". Naciodigital.cat. Archived from the original on 2012-03-22. Retrieved 2012-09-29. ^ "Joel Joan: "España ya no nos da miedo, ya no esperamos los tanques"". Libertad Digital. 18 February 2015. Archived from the original on 23 March 2015. ^ "El actor Joel Joan, directo a la independencia de Cataluña: 'España ya no nos da miedo'". Mediterráneo Digital. 18 February 2015. Archived from the original on 30 March 2015. ^ "Txarango pone la banda sonora al sí". La Vanguardia. 2017-09-04. Retrieved 2019-01-15. ^ Tronchoni, Nadia (2017-10-01). "Xavi: "Lo que está sucediendo en Cataluña es una vergüenza"". El País (in Spanish). ISSN 1134-6582. Retrieved 2019-01-15. ^ "Beth, de dar la cara por España en Eurovisión a musa 'indepe' en la Diada". El Español (in Spanish). 2018-09-10. Retrieved 2019-01-15. ^ "Podemos victory in Catalonia a blow for struggling separatists". 20 December 2015. Archived from the original on 15 March 2016. Retrieved 28 March 2017. ^ "Ciudadanos - Partido de la Ciudadanía". Ciudadanos-cs.org. Retrieved 2012-10-08. ^ "Partit Popular de Catalunya |". Ppcatalunya.com. Archived from the original on 2012-09-28. Retrieved 2012-09-29. ^ "L'última batalla dels catalanistes del PSC - Crònica.cat - La informació imprescindible". Cronica.cat. Archived from the original on 2012-03-03. Retrieved 2012-09-29. ^ "El PSC renuncia en su programa electoral al derecho a decidir". El Mundo. 2 July 2015. Archived from the original on 9 January 2016. Retrieved 1 November 2015. ^ Planas, Pablo (25 March 2017). "Adiós definitivo a Unió, la última víctima de la maldición de Mas". Libertad Digital (in Spanish). Retrieved 28 October 2017. ^ "Más de un millón de personas colapsan Barcelona contra el independentismo". Elmundo.es. 2017-10-08. Retrieved 10 December 2017. ^ Horowitz, Jason; Kingsley, Patrick (8 October 2017). "'I Am Spanish': Thousands in Barcelona Protest a Push for Independence". Nytimes.com. Retrieved 10 December 2017. ^ Razón, La (12 October 2017). "Barcelona vive la manifestación más multitudinaria de su historia en un 12-O". Larazon.es. Retrieved 10 December 2017. ^ "65.000 manifestantes en el 12-O de Barcelona, según la Guardia Urbana, trece veces más que el año anterior". Elmundo.es. 2017-10-12. Retrieved 10 December 2017. ^ "The Latest: 65,000 recorded at Spanish loyalist rally". Bostonherald.com. Archived from the original on 20 June 2018. Retrieved 10 December 2017. ^ "Manifestación Barcelona: 1.000.000 personas según la delegación del Gobierno". Lavanguardia.com. 2017-10-29. Retrieved 10 December 2017. ^ Jones, Sam (29 October 2017). "Catalonia: Madrid warns of Puigdemont jailing as thousands rally for unity". Theguardian.com. Retrieved 10 December 2017. ^ "Protesters stage big anti-independence rally in Catalonia". Politico.eu. 29 October 2017. Retrieved 10 December 2017. ^ "Pro-unity Catalans parody secessionists". BBC News. 4 March 2018. Retrieved 5 March 2018. ^ "Protesters mock Catalan independence bid with secession call of their own". DW.COM. 2018. Retrieved 5 March 2018. ^ "Spanish unionist rally mocks Catalan separatist movement". SFGate. 2018. Retrieved 5 March 2018. ^ Blanchar, Clara (2018-03-04). "La plataforma por Tabarnia exhibe músculo y se manifiesta en Barcelona". El País. ^ a b "Famosos a favor y en contra de la independencia". La Nueva España. 27 September 2015. Archived from the original on 29 October 2015. Retrieved 1 November 2015. ^ a b c d e f "Famosos catalanes que defienden a España… o apoyan la independencia". El Plural. ^ Boylan, Brandon M. (2015-10-01). "In pursuit of independence: the political economy of Catalonia's secessionist movement". Nations and Nationalism. 21 (4): 761–785. doi:10.1111/nana.12121. ISSN 1469-8129. ^ a b "Baròmetre d'Opinió Política. 2a onada 2011" (PDF). Centre d'Estudis d'Opinió (in Catalan). 29 June 2011. Retrieved 8 March 2019. ^ a b "Baròmetre d'Opinió Política. 3a onada 2011" (PDF). Centre d'Estudis d'Opinió (in Catalan). 25 October 2011. Retrieved 8 March 2019. ^ a b "Baròmetre d'Opinió Política. 1a onada 2012" (PDF). Centre d’Estudis d’Opinió (in Catalan). 2 March 2012. Retrieved 8 March 2019. ^ a b "Baròmetre d'Opinió Política. 2a onada 2012" (PDF). Centre d’Estudis d’Opinió (in Catalan). 27 June 2012. Retrieved 8 March 2019. ^ a b "Baròmetre d'Opinió Política. 3a onada 2012" (PDF). Centre d’Estudis d’Opinió (in Catalan). 8 November 2012. Retrieved 8 March 2019. ^ a b "Baròmetre d'Opinió Política. 1a onada 2013" (PDF). Centre d’Estudis d’Opinió (in Catalan). 21 February 2013. Retrieved 8 March 2019. ^ a b "Political Opinion Barometer. 2nd wave 2013" (PDF). Centre d’Estudis d’Opinió. 20 June 2013. Retrieved 8 March 2019. ^ a b c "Political Opinion Barometer. 2nd wave 2014" (PDF). Centre d’Estudis d’Opinió. 31 October 2014. Retrieved 8 March 2019. ^ a b "Political Opinion Barometer. 1st wave 2015" (PDF). Centre d’Estudis d’Opinió. 13 March 2015. Retrieved 8 March 2019. ^ a b "Political Opinion Barometer. 2nd wave 2015" (PDF). Centre d’Estudis d’Opinió. 3 July 2015. Retrieved 8 March 2019. ^ a b "Political Opinion Barometer. 3rd wave 2015" (PDF). Centre d’Estudis d’Opinió. 13 November 2015. Retrieved 8 March 2019. ^ a b "Political Opinion Barometer. 1st wave 2016" (PDF). Centre d’Estudis d’Opinió. 18 March 2016. Retrieved 8 March 2019. ^ a b "Political Opinion Barometer. 3rd wave 2015" (PDF). Centre d’Estudis d’Opinió. 22 July 2016. Retrieved 8 March 2019. ^ a b "Political Opinion Barometer. 3rd wave 2016" (PDF). Centre d’Estudis d’Opinió. 18 November 2016. Retrieved 8 March 2019. ^ a b "Political Opinion Barometer. 1st wave 2017" (PDF). Centre d’Estudis d’Opinió. 30 March 2017. Retrieved 8 March 2019. ^ a b "Political Opinion Barometer. 2nd wave 2017" (PDF). Centre d’Estudis d’Opinió. 21 July 2017. Retrieved 8 March 2019. ^ a b "Political Opinion Barometer. 3rd wave 2017" (PDF). Centre d’Estudis d’Opinió. 31 October 2017. Retrieved 8 March 2019. ^ a b "Political Opinion Barometer. 1st wave 2018" (PDF). Centre d’Estudis d’Opinió. 11 May 2018. Retrieved 8 March 2019. ^ a b "Political Opinion Barometer. 2nd wave 2018" (PDF). Centre d’Estudis d’Opinió. 20 July 2018. Retrieved 8 March 2019. ^ a b "Political Opinion Barometer. 1st wave 2014" (PDF). Centre d’Estudis d’Opinió. 30 April 2014. Retrieved 9 March 2019. ^ "Baròmetre". Centre d'Estudis d'Opinió. Retrieved 8 March 2019. ^ "Baròmetre d'Opinió Política. 1a onada 2009" (PDF). Centre d'Estudis d'Opinió (in Catalan). 26 February 2009. Retrieved 8 March 2019. ^ "Baròmetre d'Opinió Política. 2a onada 2009" (PDF). Centre d'Estudis d'Opinió (in Catalan). 21 May 2009. Retrieved 8 March 2019. ^ "Baròmetre d'Opinió Política. 3a onada 2009" (PDF). Centre d'Estudis d'Opinió (in Catalan). 30 July 2009. Retrieved 8 March 2019. ^ "Baròmetre d'Opinió Política. 4a onada 2009" (PDF). Centre d'Estudis d'Opinió (in Catalan). 4 December 2009. Retrieved 8 March 2019. ^ "Baròmetre d'Opinió Política. 1a onada 2010" (PDF). Centre d'Estudis d'Opinió (in Catalan). 26 February 2010. Retrieved 8 March 2019. ^ "Baròmetre d'Opinió Política. 2a onada 2010" (PDF). Centre d'Estudis d'Opinió (in Catalan). 21 May 2010. Retrieved 8 March 2019. ^ "Baròmetre d'Opinió Política. 3a onada 2010" (PDF). Centre d'Estudis d'Opinió (in Catalan). 30 July 2010. Retrieved 8 March 2019. ^ "Baròmetre d'Opinió Política. 4a onada 2010" (PDF). Centre d'Estudis d'Opinió (in Catalan). 5 November 2010. Retrieved 8 March 2019. ^ "Baròmetre d'Opinió Política. 1a onada 2011" (PDF). Centre d'Estudis d'Opinió (in Catalan). 25 February 2011. Retrieved 8 March 2019. ^ "Political Opinion Barometer. 3rd wave 2013" (PDF). Centre d’Estudis d’Opinió. 22 November 2013. Retrieved 8 March 2019. ^ "Political Context Survey. 2016" (PDF). Centre d’Estudis d’Opinió. 29 December 2016. Retrieved 8 March 2019. ^ "ICPS: Institut de Ciències Polítiques i Socials". Icps.es. Archived from the original on 2012-06-20. Retrieved 2012-09-29. ^ "El suport a un referèndum a Catalunya sorprèn els partits". Elperiodico.cat. 16 October 2007. Retrieved 9 March 2019. ^ "L'independentisme avança fins a quedar-se a un punt de la majoria - Política - El Periódico". Elperiodico.cat. Archived from the original on 2012-03-04. Retrieved 2012-09-29. ^ "Quasi la meitat de Catalunya trencaria avui amb Espanya - Política - El Periódico". Elperiodico.cat. Archived from the original on 2012-03-04. Retrieved 2012-09-29. ^ "La independència guanya a les enquestes - Notícies Societat - e-notícies". Societat.e-noticies.cat. Archived from the original on 2012-03-01. Retrieved 2012-09-29. ^ "Els catalans dividits en dues meitats davant la independènci". Elperiodico.cat. Archived from the original on 2012-10-05. Retrieved 2012-09-29. ^ a b "El independentismo bajaría al 40% si Catalunya saliera de la Unión Europea". Elperiodico.com. 2012-11-03. Archived from the original on 2012-11-06. Retrieved 2012-11-04. ^ "El 75% de los catalanes reclaman a Rajoy que autorice una consulta". ElPeriodico.com. 2013-06-08. Archived from the original on 2013-11-08. Retrieved 2013-06-08. ^ "La mayoría aprueba la consulta independentista pero votaría en contra". Lavanguardia.es. 2010-01-07. Retrieved 2012-09-29. ^ "El apoyo a las consultas y el rechazo a la independencia se mantienen estables". Lavanguardia.es. 2010-03-15. Retrieved 2012-09-29. ^ "La independencia logra su mayor cota mientras cae el rechazo a la secesión". Lavanguardia.es. 2010-05-19. Retrieved 2012-09-29. ^ "CiU sigue cerca de la mayoría absoluta frente a un tripartito que no remonta". Lavanguardia.es. 2010-07-17. Retrieved 2012-09-29. ^ "El apoyo a la independencia remite y cae al 40%". Lavanguardia.es. 2010-09-07. Retrieved 2012-09-29. ^ "El 34% de los catalanes votaría sí a la independencia mientras el 30% se decantaría por el no". Lavanguardia.com. 2011-04-11. Retrieved 2012-09-29. ^ "CiU se sitúa a un paso de la mayoría absoluta". Lavanguardia.com. 2012-09-29. Retrieved 2012-09-29. ^ "Empate entre partidarios y contrarios a la independencia". La Vanguardia. 2013-12-21. Retrieved 2013-12-23. ^ "Why the referendum on Catalan independence is illegal". The Economist. 26 September 2017. Retrieved 14 February 2018. ^ "Catalonia's quarrel with Spain explained". BBC News. 2018. Retrieved 28 February 2018. ^ Taylor, Adam (2 October 2017). "Analysis | What South Sudan can teach Catalonia about creating a new country". Washington Post. Retrieved 28 February 2018. ^ a b c "Reality Check: Would Catalonia be a viable country?". BBC News. 22 December 2017. Retrieved 28 February 2018. ^ a b Henley, Jon (9 October 2017). "An independent Catalonia: practicalities of leaving Spain". the Guardian. Retrieved 28 February 2018. ^ "Independent Catalonia would need to apply to join EU: Juncker". Reuters. 2017. Retrieved 28 February 2018. ^ Erickson, Amanda (27 October 2017). "Analysis | Catalonia's independence vote: What you need to know". Washington Post. Retrieved 28 February 2018. ^ CNN, Lauren Said-Moorhouse, (2017). "Catalonia's independence referendum: What to know". CNN. Retrieved 28 February 2018. ^ Alexander, Harriet; Badcock, James (5 October 2017). "Why does Catalonia want independence from Spain?". The Telegraph. Retrieved 14 February 2018. ^ Minder, Raphael (2018). "Fake Country Carved From Catalonia Means to Mock Separatism". The New York Times. Retrieved 28 February 2018. ^ Berwick, Angus. "A split within a split - the Catalan valley sticking with Spain". Reuters. Retrieved 28 February 2018. ^ Tremlett, Giles (November 2017). ""Who is the real bad guy?" Spain's political game in Catalonia". Newstatesman. Retrieved 30 June 2018. ^ Aurora, Nacarino-Brabo; Lobeto, Jorge San Miguel. "Catalan nationalism isn't the progressive cause you might think". The Guardian. Retrieved 30 June 2018. ^ "Felipe González: "Hi ha supremacisme en l'independentisme català"". Cadena Ser (in Catalan). 16 January 2018. Retrieved 13 May 2018. ^ "Arrimadas defends "civil patriotism" and differentiates it from Catalan, Basque and Le Penna "nationalism"". Europa Press. 21 May 2018. Retrieved 21 July 2018. ^ Forcadell, Carme (16 February 2015). "Unabhängigkeit für eine bessere Zukunft". Die Welt (in German). Retrieved 13 May 2017. ^ Borràs, Jordi (31 May 2016). "Diccionari de l'extrema dreta a Catalunya, de la A a la Z". El Crític (in Catalan). Retrieved 13 May 2018. ^ Chaika, Cris (12 January 2018). "L'extrema dreta que no marxa de C's". El Temps (in Catalan). Retrieved 13 May 2018. ^ Borràs, Jordi (8 October 2017). "Unitat de l'extrema dreta a la manifestació de SCC". El Món (in Catalan). Retrieved 13 May 2018. ^ "La reaparició de l'extrema dreta durant les manifestacions contra la independència". 3/24 (in Catalan). 7 November 2017. Retrieved 13 May 2018. ^ Newton, Creede (28 November 2017). "How the Catalan crisis helps Spain's far right". Al Jazeera. Retrieved 13 May 2018. ^ "Spain's far-right gains visibility in Catalonia crisis". The Local. 15 October 2017. Retrieved 13 May 2018. Wikimedia Commons has media related to Catalonia Independence movement. "Catalonia Votes", website on self-determination referendum set up by the 2015-2017 Catalan government. "Courage in Catalonia". The New York Times. June 22, 2006. Archived from the original on 2013-06-01. Retrieved September 12, 2016. This page was last edited on 7 April 2019, at 00:29 (UTC).